I'm totally obsessed with this soba place in Torrance. SO OBSESSED. Every time I can drive into work, I take the opportunity to go here for lunch. Their soba is good and everything but it's the tempura that really gets to me. It's light and crisp and not at all greasy. There's a tempura BAR, for heaven's sake. You know when you go to yakitori restaurants (like Shinsengumi or Honda-Ya) and you can order items from the grill? You can do that here too, except they tempura it instead of grill it. There's even one where they wrap uni in seaweed and then fry that, though I have yet to try it. Go for lunch as soon as you can. Or dinner. 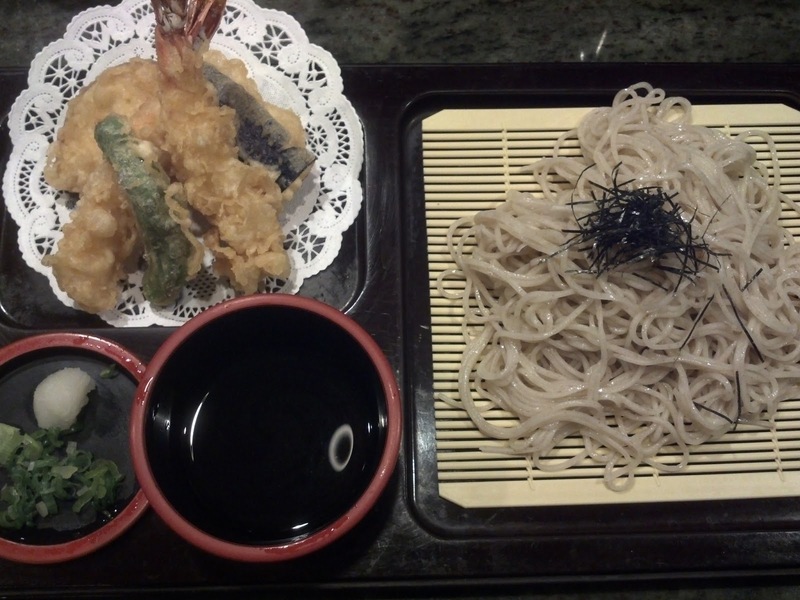 I don't know if there's a different dinner menu but the Tempura and Cold Soba combination is my go-to. It comes with two pieces of shrimp and a few vegetables, which have been different every time. 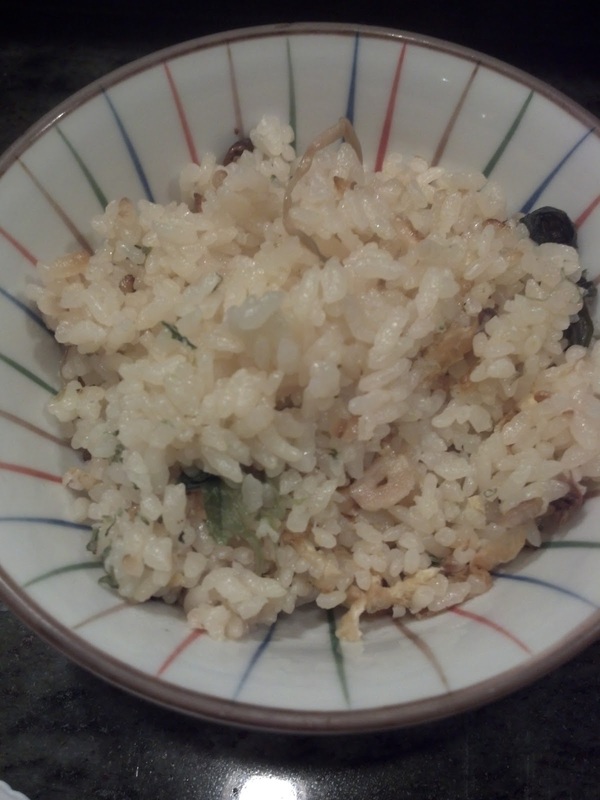 And then on top of that, there's a bowl of veggie fried rice, which I always end up taking home. So much deliciousness, seriously.